We value our patients' experience at Family Chiropractic & Occupational Health Services. If you are currently a patient, please feel free to complete the following Client Experience Questionnaire. The Questionnaire is in Adobe Acrobat format, and requires the free Acrobat Reader to view. 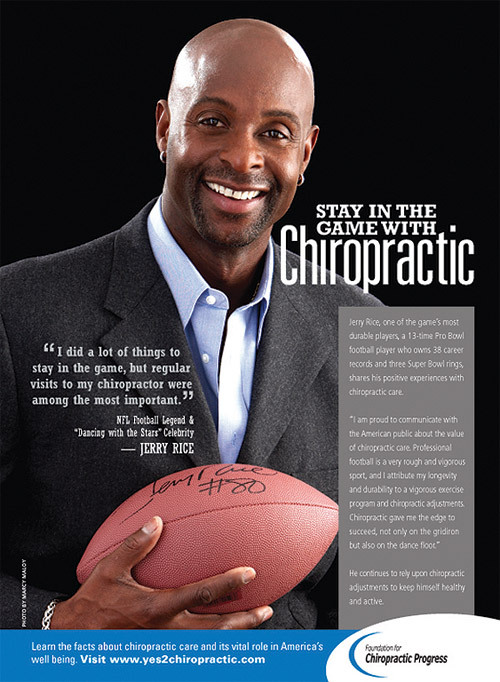 Jerry Rice Speaks about Chiropractic Care!